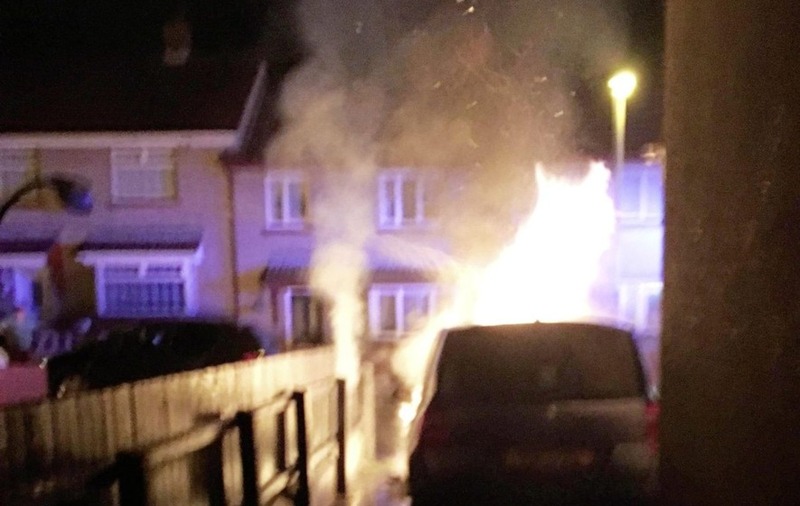 A Sinn Féin councillor has said he will not be moving despite an arson attack on his car outside his home in Derry. 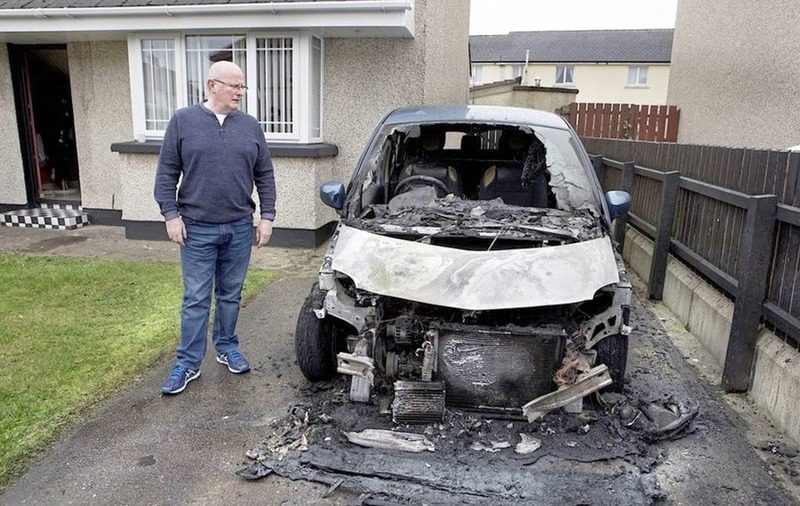 Kevin Campbell's car was completely destroyed after it was set alight at around 2.45am yesterday in Lislane Drive in Creggan. His 16-year-old daughter saw the blaze and raised the alarm, with her parents asleep at the time. Three people were seen running away from the scene. "My daughter was screaming and shaking... it was a shock," the councillor said. 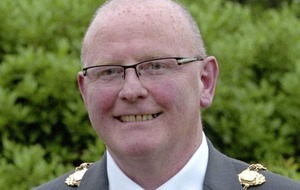 Mr Campbell told The Irish News that he would "absolutely not" be moving. The former IRA prisoner and Derry mayor also experienced attacks on his house and car at a previous address several years ago. "This is my family home and I was raised here. That type of intimidation never works. It only makes me more determined," he said. Earlier this week Mr Campbell condemned attacks on police at a dissident republican parade in the area, when officers were pelted with petrol bombs and other missiles. The police investigation included searches at a building which houses an office used by anti-agreement republican party Saoradh. Mr Campbell called yesterday for Saoradh to condemn the attack on his car. "If they are behind it I would like them to come and explain it, and if they had nothing to do with it then I would like them to condemn this criminal activity publicly," he said. In a post on Facebook, Saoradh said that the "republican movement in Derry was not responsible" and the action would be "counter-productive to our objective of building the credible republican alternative to the status quo that Saoradh represents". It added: "While activists and civilians are harassed by the crown forces Campbell and his party support on a daily basis, these anti-community attacks are ignored by the very same people who are rightly outraged by the attack on Campbell and his family." A vigil to show solidarity with Mr Campbell and his family was held outside the house last night. 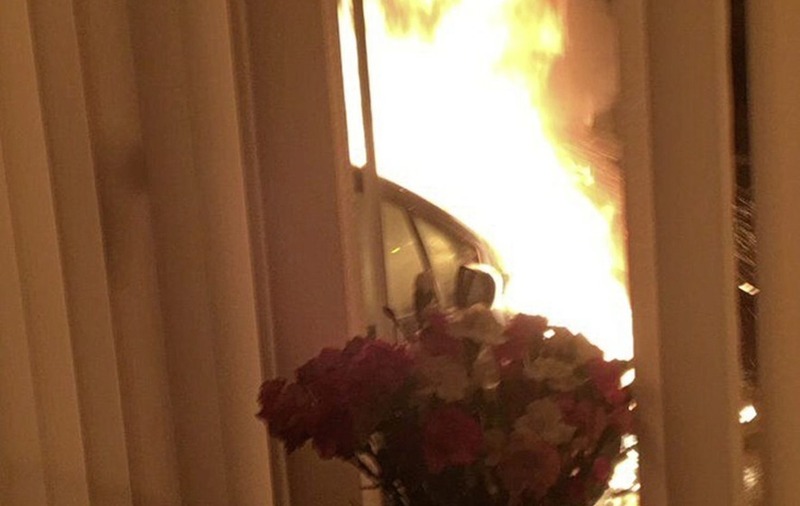 Brian Tierney, an SDLP councillor in Derry whose car was also torched outside his home in November, said: "My thoughts are with Kevin Campbell and his family today. This is a scary ordeal for any family. "Having recently had a similar attack on my own vehicle at my home, I know how the family are feeling." The attack was also condemned by SDLP leader Colum Eastwood, DUP MLA Gary Middleton, Sinn Féin vice-president Michelle O'Neill and Fiachra McGuinness, son of the late deputy first minister Martin. Meanwhile, police have appealed for information after a bin was set on fire at a house in Fern Park in Derry. Significant damage was caused to the back door of the house during the arson attack at around 2am on Saturday. A man inside the property was not injured.